The WaveLight® EX500 Excimer Laser is the only excimer laser to operate at 500 Hz, with an average treatment time of approximately 1.4 seconds per diopter . 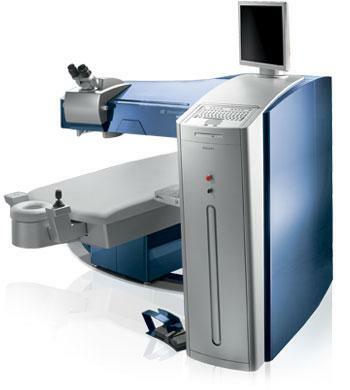 With a powerful 1050 Hz-type multi-dimensional eye tracker, synchronized at 500 Hz, the WaveLight® EX500 Excimer Laser offers safety and exceptional precision. Utilizing proprietary PerfectPulse Technology®, the WaveLight® EX500 Excimer Laser maintains a high pulse frequency with a minimized thermal load. Only 1 pulse in 5 is allowed to overlap. Optimizes temporal and spatial shot distribution. Additional pulses are sent to the periphery to compensate for energy loss. Reduces the potential for nighttime glare. Movement tracking with just 2 milliseconds of latency. Dynamic pupil tracking from 1.5 mm to 8.0 mm.